Privacy is a big word for people who always want to have a peaceful and quiet place to live in. 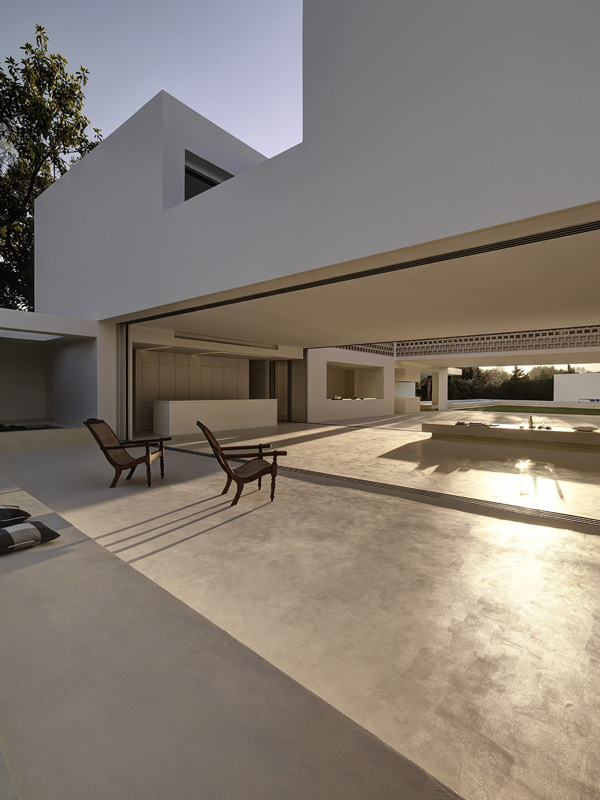 Today, we will share to you another private residence built in Marbella, Spain. This house was successfully completed last year. 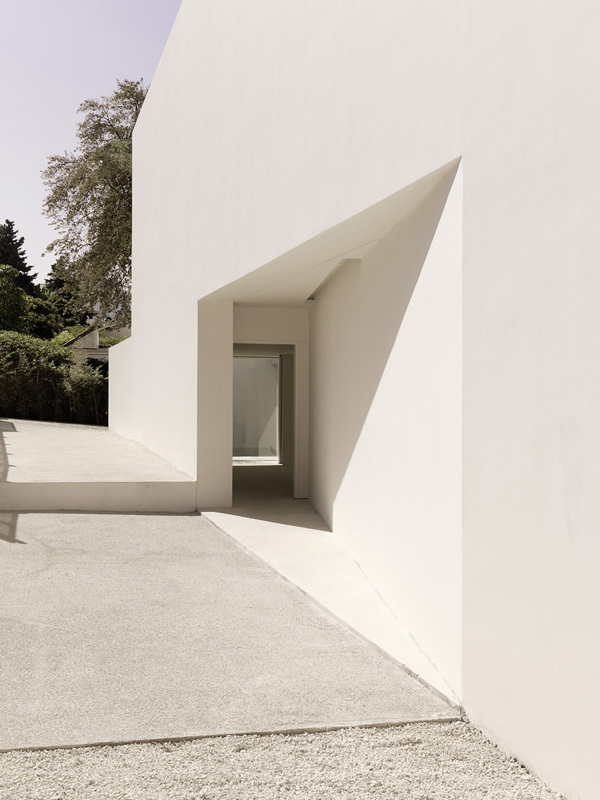 With an area of 585 square meters this residential house maintains its private areas away from the other houses. 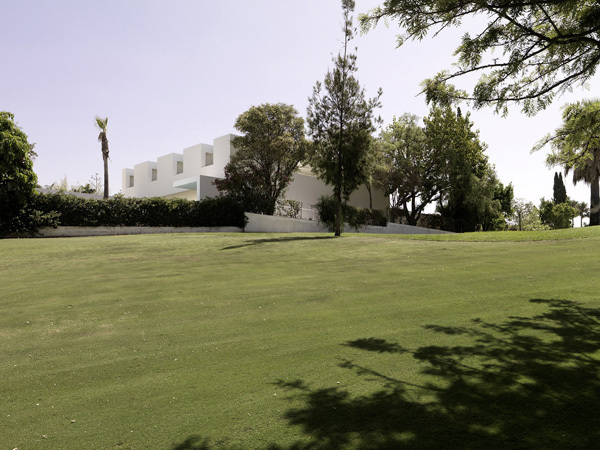 The plot is specifically located in a suburban urbanization of private villas next to a golf court near Marbella, Spain. The house program is specifically intended for the entire family with their kids and guests. The interior has an area of 480 square meters. 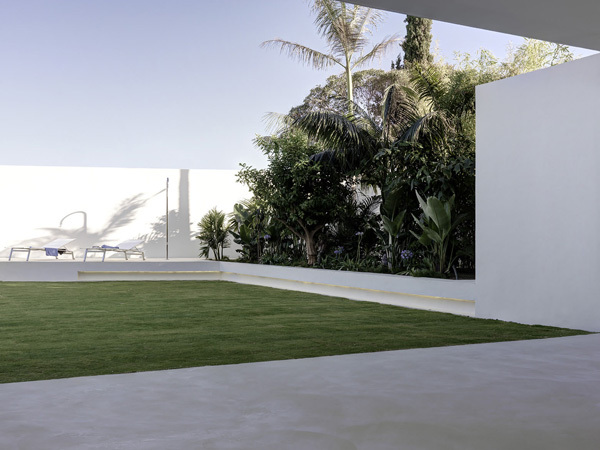 The designer said that there was an existing house which is typically designed for their fascinating garden. Scroll down the page and see how the designer conceptualized the design of this private residential home through the images below. 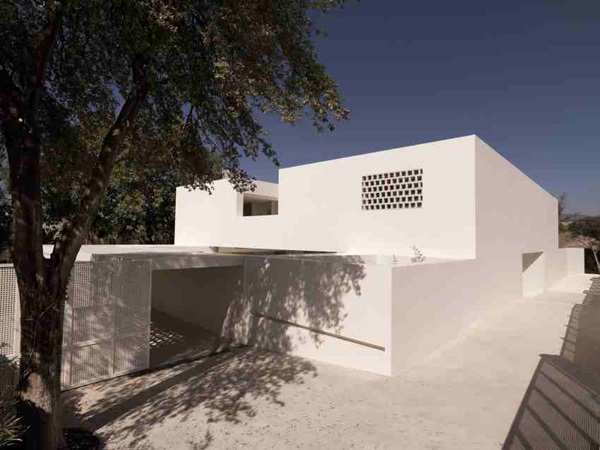 Take a look at the white themed building of this house that seems to display its well-organized and private interiors. See the lush vegetation in the surroundings that underlines its geometric forms and figure. 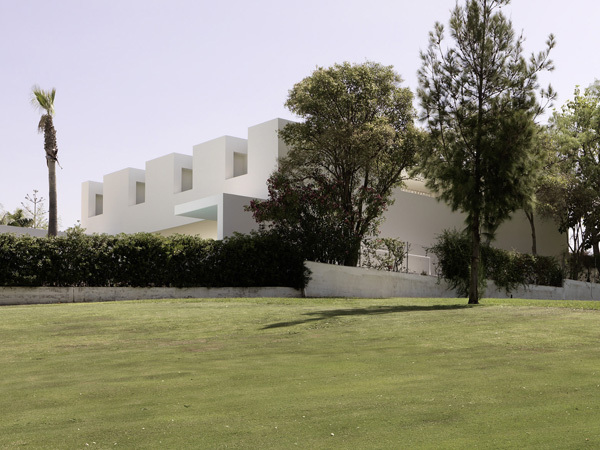 Tall trees and well-trimmed plants complements with the white painted buildings of the house. 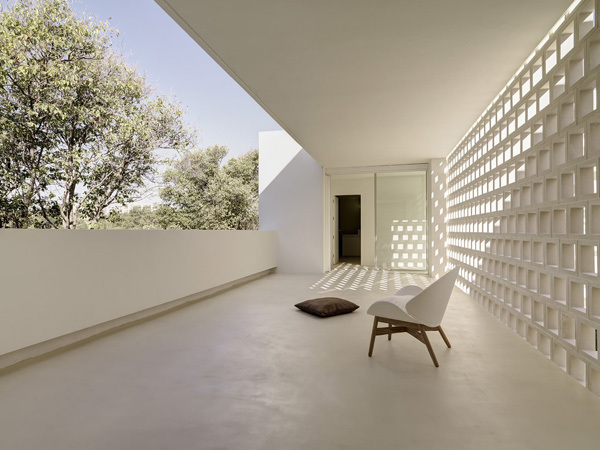 Spacious and neat exterior maintains the privacy and the strong connection to interior. 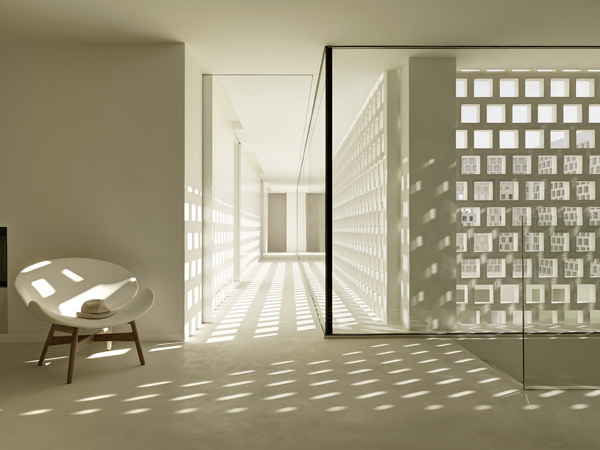 Flawless and clean texture of the walls and floor in the entrance ensures the privacy in the house. 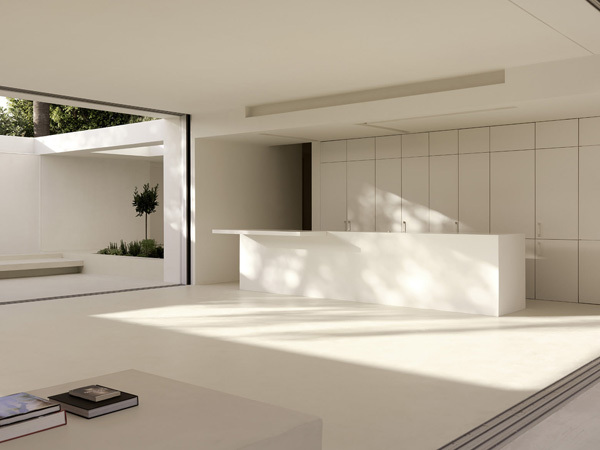 White walls, ceilings and floors of this interior is highlighted with the sustainable light here. The designer minimized the furniture in the living space to make this more spacious. 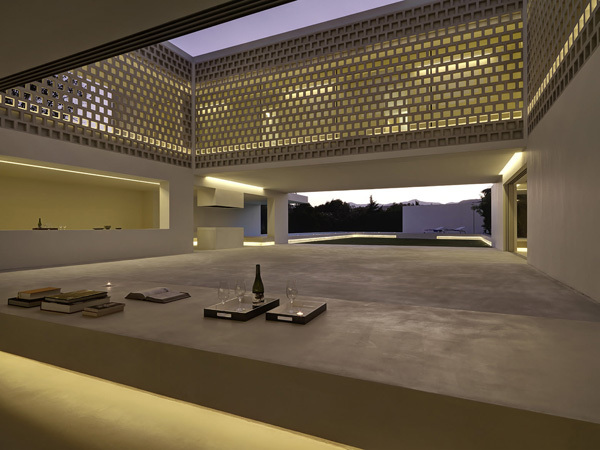 Curves and straight lines seen from the chairs complements with the edifice underscore the modern concept in the house. Combination of rough and smooth texture is well displayed in the walls and floors of this house. Comfort and great style is specially offered for the clients and its guests. The client may still enjoy the sight of the tall trees and panoramic views from this terrace. 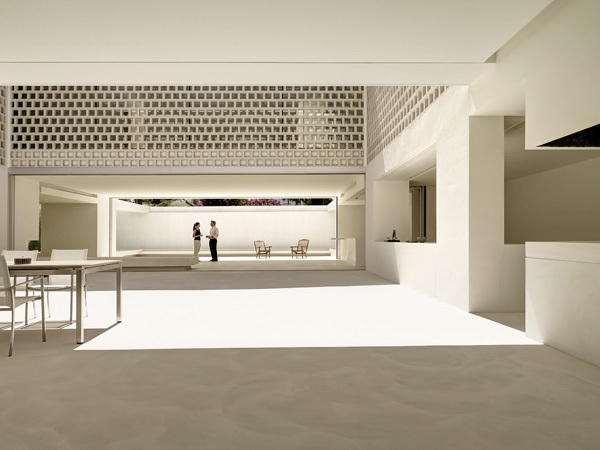 Forms and lines are also well-illustrated in the interior of this house which also proves its neatness and charm. LED lights installed in the interior underlines its luxurious and fascinating effect to its details. Sustainable light is accessible in this area while the client is unwinding from the stressful work. The clean lines and smooth textures of the floor is maintained in this area. Large swimming pool installed in the exterior completes the private and comfortable experience in the house. 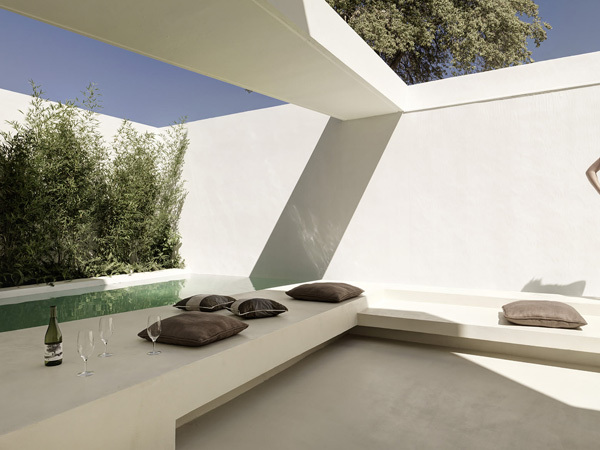 The serenity and tranquility of the swimming pool area explains the idea and concept of the privacy and comfort. Bruno Helbing effectively illustrated the details of the interiors and exteriors of this house through the selected photographs he took. Actually the idea of the designer was to create a huge garden with huge covered outside spaces which provide some shades whenever it is needed. For the family, they consider this as their perfect spot where they can catch the twilight, sunrise and sunset with their friends and family while enjoying with some Spanish wines and foods as well. 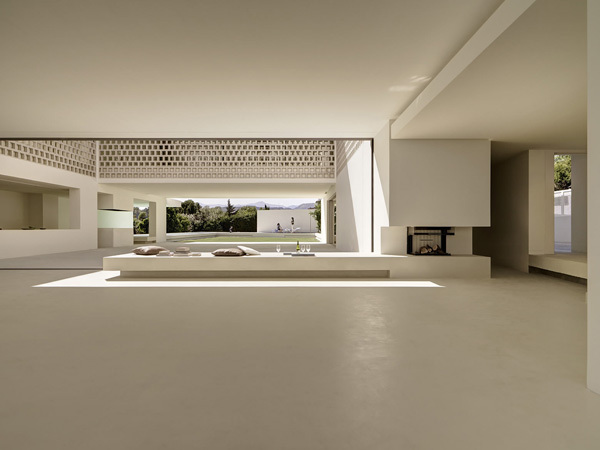 Indeed, this house is successfully designed by the Gus Wüstemann Architects. We hope that you catch some inspirational ideas and ways on how you may achieve the best private and intimate areas in the house.